What Are the Instagram Image Sizes for 2019? In addition to upgrading the paltry 640 pixel square to a more robust 1080 on July 6, 2015, Instagram also added support for non-square images on August 26, 2015. The optimal sizes are 1080 pixels wide by 566 pixels to 1350 pixels high. The un-square shapes were added for Instagram ads. You can post a landscape image in a 1.91 to 1 proportion, which is exactly the same as a Facebook link preview image. So there’s cross-platform compatibility with IG and FB ads. But I don’t recommend the landscape for marketers, as it takes up less than half the space you could snag with a portrait image! If you have a landscape photo or graphic that you don’t want to crop to a square, consider using one of the many apps that add a border top and bottom to take up more space in the feed. If you do post a wide (or tall) image, be aware that it will be cropped to a square on your image gallery (profile page). The portrait image gives you the most bang for your buck in the Instagram stream. Stick with the 1080 pixel width, and go up to 1350 pixels tall. If your photo is larger, no worries – Instagram will reduce it when you post. Try not to post smaller, though. The proportion is the same as an 8 x 10 portrait photo! You’ll find the aspect ratio 4:5 or 8:10 offered as a cropping option is your photo editing app – or you can crop right in the IG app. 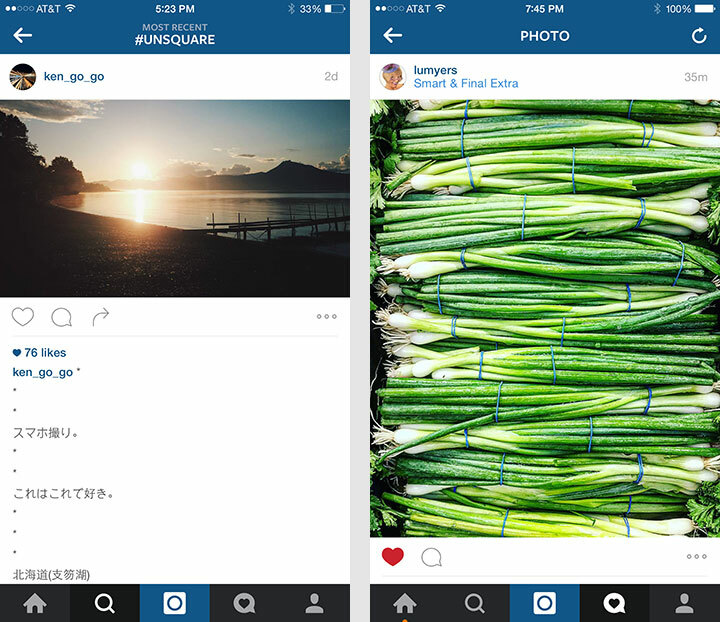 Which do YOU think has more impact on Instagram – landscape or portrait shape photo? Why Is My Instagram Photo Post NOT 1080 Pixels Wide? Photos between 320 x 320 and 1080 x 1080 pixels will post at their original resolution. You may need to update to the most recent version of the Instagram mobile app. The desktop version of Instagram only displays up to 640 px images. Your phone might not take and/or support high resolution photos. NOTE: If you share a photo at a lower resolution than 320 pixels wide, it’ll be enlarged to 320. (Please don’t even think of posting such a low rez photo!) If you share a photo at a higher resolution, it’ll be sized down to 1080. Sizing down is always better than sizing up! I love the Instagram editing tools. Even when I do photo edits in Photoshop, I might add Lux or Saturation in Instagram. Awesome tools! 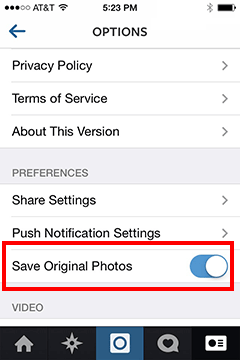 If you have Save Original Photos set to ON in your Instagram settings, your edited photo is saved at its full resolution to your device’s photo library. 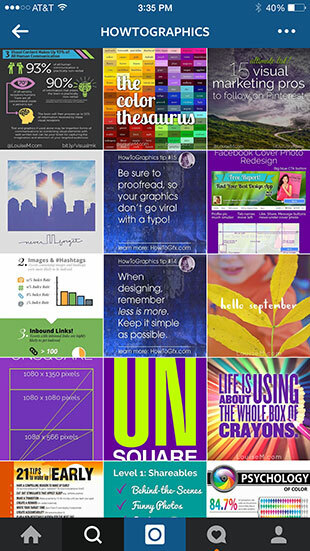 If you want to use the photo to make prints, a picture book, or something else where you need a high resolution… post your Instagram images as large as needed for the later use. Social media photos are constantly enlarging. Post 1080px square if possible – even larger if you want to ensure you can reuse the image at top quality next year! Who knows, the size may increase again by then. How Do I Upload a Portrait or Landscape Photo to Instagram? Tap at the photo’s lower left to switch from a square to a portrait or landscape. You can touch the screen to move the photo and adjust how it fits within the frame. If you want to change the proportion, you must do so before tapping Next. You can change the cropping with the Adjust tool, but the overall shape (or aspect ratio) of the photo will remain the same. Also note that the white bars you see down the sides of a portrait photo while you’re editing it will NOT remain after it’s posted. This is just to fit the image into the editing area. It will actually post even larger – to the full width of the feed. Unsquare images appear as center-cropped squares on your profile. The purple background images were posted as portrait shape. NOTE: You must have Instagram app version 7.5 or later to post unsquare photos as well as see them. Users with older versions of the app will see your image cropped to a square. Additionally, unsquare images will appear as a center-cropped square in your profile grid (see image at left). Many people are sticking with the square, and it’s still a powerful shape. The taller image gives you a better Pinterest presence (where tall mages rule) without having to create a separate graphic. In fact, Pinterest has experimented with showing ALL Pins at the same 8×10 aspect ratio in the home feed! Pinterest now seems to be more accepting of less-tall images that make cross-posting content from IG to Pinterest easier. What size are Instagram Stories? Whether you’re posting a photo, graphic, or video to your Story, it’ll take up the full mobile screen. The recommended size is 1080 x 1920 pixels, or any 9:16 proportion. If you’re making graphics, the 1080 x 1920 pixel size is ideal. Use this size if you’re creating a cover image for your Story Highlights. When you go to customize your cover you’ll be able to zoom in on the area of your photo that you want highlighted in the circle. If you’re uploading a photo, almost any size or shape will work BUT it’s going to be cropped in the Instagram app to a long skinny rectangle smack dab in the middle. If that chops off half your face or some other important feature, simply use the 9:16 crop template in any photo editing app (even iPhone Photos) before adding it to your Story. The exact pixel size isn’t critical, but the shape or aspect ratio is. If you’re planning to add a video to your Instagram Story, you’ll make your life a lot easier if you shoot it in a vertical format, holding your phone upright. Then it should look just right when you add it to your Story. This IGTV infographic, “The Savvy Marketer’s Guide to IGTV,” was just released by M2 On Hold. Launched in June 2018, IGTV is the latest offering from Instagram. This infographic shows you everything you need to know in order to get the most out of this brand-new feature for your brand’s content marketing strategy. Five years after the launch of video on Instagram, we are excited to introduce IGTV which brings audiences closer to the creators they love. We’re evolving with the times; these days, people are watching less TV and more digital video. By 2021, mobile video will account for 78% of total mobile data traffic. And we’ve learned that younger audiences are spending more time with amateur content creators and less time with professionals. Be first: Be among the first to lead the future of video. Get closer: Use longer, permanent video for deeper storytelling. Build stronger connections with potential customers as you showcase other dimensions of your business without being limited to one type of content, length or format. Leverage your community: As with Instagram stories, IGTV is built on Instagram leveraging a global community of more than 800M people. When your followers open IGTV, they will instantly see original content from you, and new people can also discover your brand. In conclusion, Instagram says: We believe this is the future of video. People continue to spend more time with entertainment on their mobile devices, and we’re making it easier for them to get closer to the creators and original content they love. Your next step with IGTV? Learn how to maximize your marketing on the infographic at the end of this article! What are the video requirements for IGTV? The recommended size for cover photos is 420px by 654px (or 1:1.55 ratio). Right now, you can’t edit your cover photo after you’ve uploaded it. I have no clue how they came up with this size, but it says so right here on Instagram help. Which Instagram image size will you use? Note: This post was originally published September 2015 and updated December 2017, August 2018, and December 2018. I’ve been posting both tall and square on my photo account and my biz account. Call me inconsistent, but I don’t think the slight difference is jarring. (Portraits are a 4:5 proportion – hardly towering). 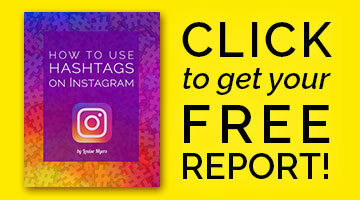 Instagram Photo Format Breaks Out of the Box! Please share! Help the word get out. Pin the graphic below. 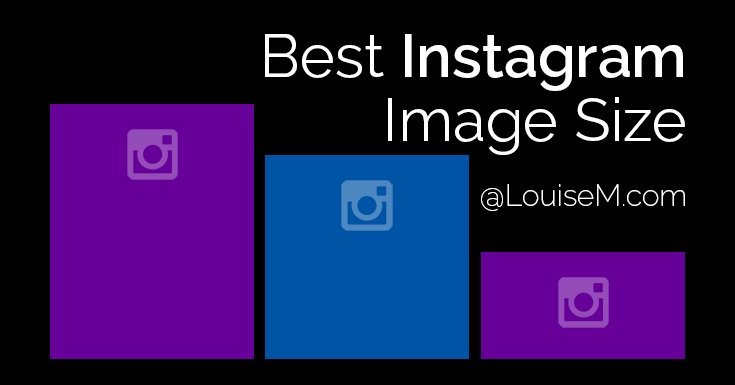 Help others learn what’s the best Instagram image size! i understand that currently, instagram only allows 1080×1080 for ads, do you happen to know if it’s true? You can also do a horizontal in the same proportions as Facebook: 1.91 to 1. Minimum size 600×315 pixels. I have a portrait image, and I resized it to be 1080 tall. I tried to post it but Instagram is cropping it. I than found your post and resized it to 1035 tall. It still cropping it. why? You have to tap the little button that converts it from square to the shape of the photo (whether horizontal or vertical). The precise pixel dimensions don’t affect whether it can be posted as non-square (but at last 1080 wide is optimal). Wondering why when I hit the option to switch to portrait I get the white bars in the sides instead of filling the frame like your example. Any thoughts? It only has bars on the sides in edit mode, so you can see the full image. It won’t have bars once it’s posted. I prefer to use 1080X1350 as you can express more. Ditching the standard square format. I prefer tall, too. Enjoy! One thing I’m having a hard time finding out is the best DPi for Instagram. I’m saving photos in Photoshop at 1080X1350 at 300dpi, but should it be 72dpi for the web? Are images still getting compress at 300dpi? Pixels per inch doesn’t matter for the web. Images will be shown per the user’s device resolution. But…. if I upload an image at 72dpi and the user’s device is 96dpi am I going to be uprezed and thus lose out to someone posting at 300 which could always down rez? Images on the web don’t maintain any number of pixels per inch. Overall pixel size is all that matters. But if you want to save at 300 ppi, be my guest. Hey Louise I just discovered your blog and want to send a big thanks for creating really practical, no fluff articles. I’m book marking you now to share with my followers who I know will appreciate your style. Fantastic! Glad to hear it, Janet. Fantastic. Love your stuff. Shared this post. I always crop my photos to 1080×1080 at 100% quality and 72dpi… but, on the iPad the photo still looks a bit fuzzy. Any way to improve the quality for iPad viewing? I’ve noticed this too. I don’t think you can because the iPad screen size is bigger than 1080 pixels. I’ll let you know if I discover any tricks. What are the specs of the header “circle” image? Use any size you like as long as it’s no smaller than 110 pixels either way. I did see that the portrait photos are cropped on the bottom and top to show the square shape in the integral feed, do you know how much from each? or it would be same from both ends? Yep, tall or wide images will crop to a centered square. Thanks for sharing all Instagram sizes. I use tablet for posting pictures on Insta.. the posted pics look a bit compressed and very fuzzy. I upload pictures from DSLR with full resolution without changing anything. Earlier I used 7 inch tablet and posted the same way but the picture quality was better..now I have 8 inch tablet and the pictures are fuzzy. I am thinking about buying a small screen phone..I don’t know if the big screen size is causing the problem or the high resolution size of image. It may be just how it appears on your screen. Have you tried viewing a posted image from another device? Thanks for such a great informational article. I prefer long image since it offers us to display more content to our audience. what is the size of Instagram post? This is covered thoroughly in the article. Is there something you don’t understand about it? Hi, very nice and helpful post. I prefer using square images of size 500px by 500px. I strongly recommend you upsize as that will reflect poor quality. Instagram is all about great images! Your post is really helpful for me because this post told me the best size image of Instagram post. I am first time visit here and now I am big fan of your website so keep posting such a great article with us. I’m curious about posting a 2048 pixel vertical to IG. If I share it to FB thru the IG upload will it retain the pixels, or will it resize it down to 1350 when it posts to FB? I just checked the one I shared to FB this morning. It was 1080 x 1350, but saved to my camera roll at full size (I do some edits in IG and save the pics). What I just don’t get is why nobody talks about KB and MB for Instagram images. This gets completely ignored in every post I see on the subject. Isn’t KB/MB relevant for Instagram images? What are the KB or MB limits I should use for best Instagram image quality? I have not found it to be relevant. After all, IG’s intention is that you post photos on the fly, not that you edit and save them to a required size. I do have a complete article on Instagram resolution here. Recently tried out the 1080 by 1350 size for a standard IG post, it turned out cropped. Any reasons why this should happen? Had to revert to 1080 by 1080 as a result. Only reason I know of is if you didn’t tap the bracket icon at lower left to show the correct shape.